Obstacles are part of everyone’s life. They have a tendency, if not dealt with, to become so huge and overbearing that they transform into phobias, only to be avoided. 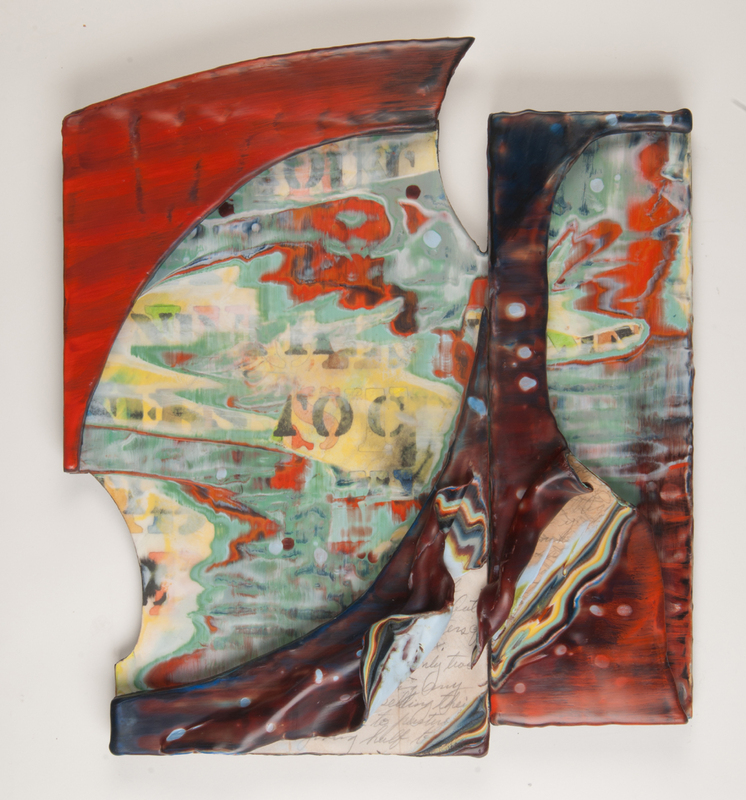 This work is about overcoming personal obstacles. We all have areas in our lives that need work, but avoid taking a real good look at them. I use old family letters or text under the wax that reference the past or the inner doubts that we all carry around. These are issues we need to learn from, let go of and grow as individuals. 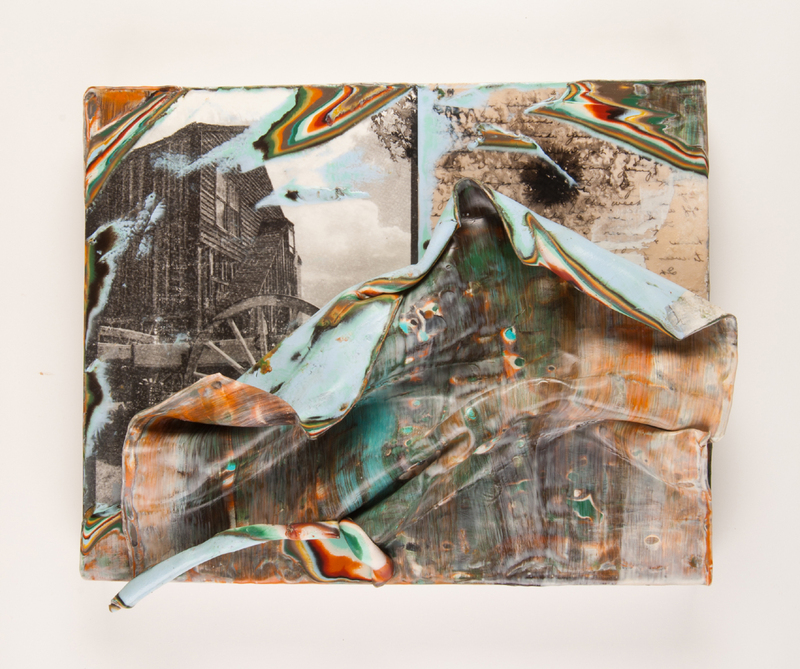 The physical properties of the encaustic skins became metaphoric for expressing what needs to be looked at in a different way. The letters I use are old family letters from the 30’s and 40’s during the Great Depression and the dust bowl days of Texas. 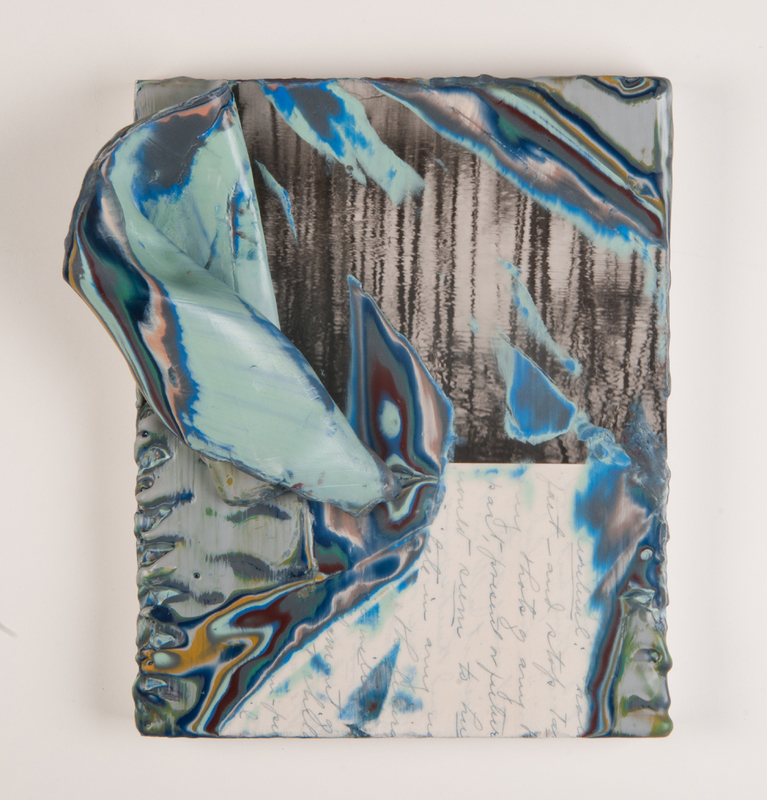 These letters represent a period of suffering , loss and endurance in our country, and for me, the intricately-worked encaustic shrouds became metaphors for struggle and change. Layers of wax literally cover up the past. Revealed, exhumed, manipulated, up-ended, exposed, all of these actions give me a sense of freedom, and the ability to step outside myself. Seemingly destructive to the surface, the peeling plays a positive roll in removing a build up and seeing what has been lying dormant. The depth created working this way is jarring to me, confrontational, alluring and frightening. There is risk involved, but the presence of this relief work conveys a sense of resilience and life which keeps me returning. It speaks with a boldness and beauty which is also fragile. 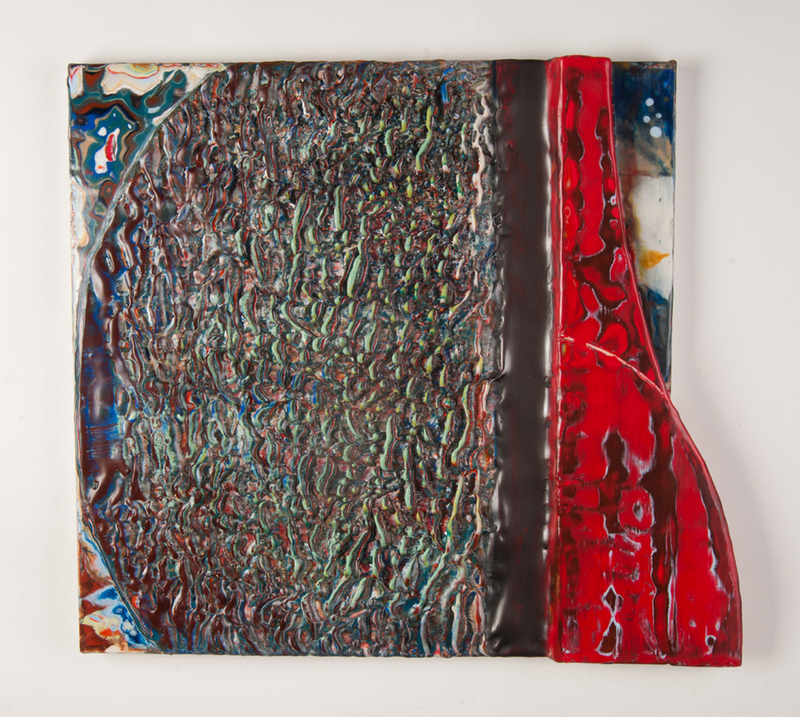 This opposition between image/content and material is the catalyst for the development of my encaustic relief series. This work continues to evolve as I find new ways to shed light on subjects I want to confront. Stephanie graduated with a BFA in Painting from Rhode Island School of Design in 1985. 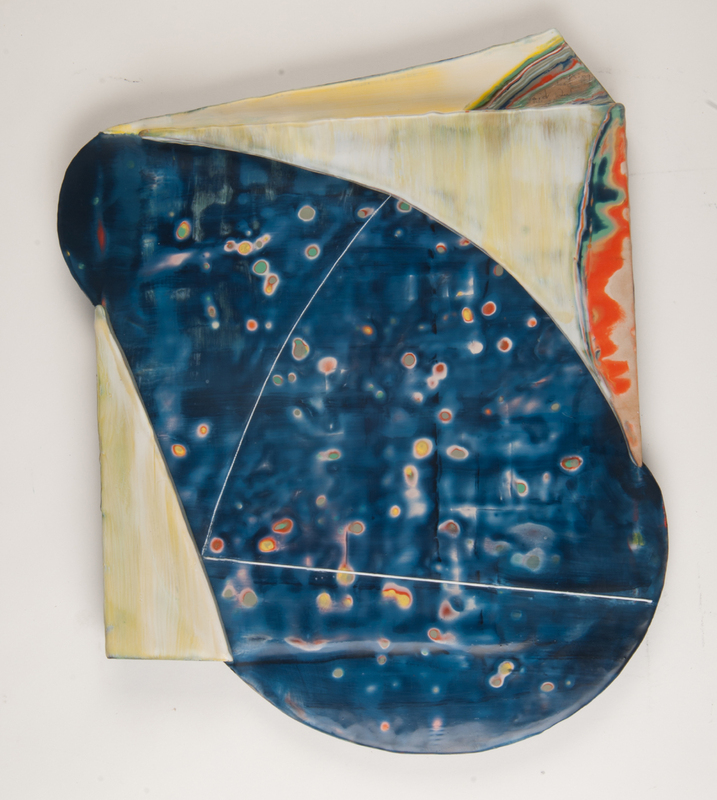 She was awarded a residency at The Vermont Studio Center in 2016 & 1997. 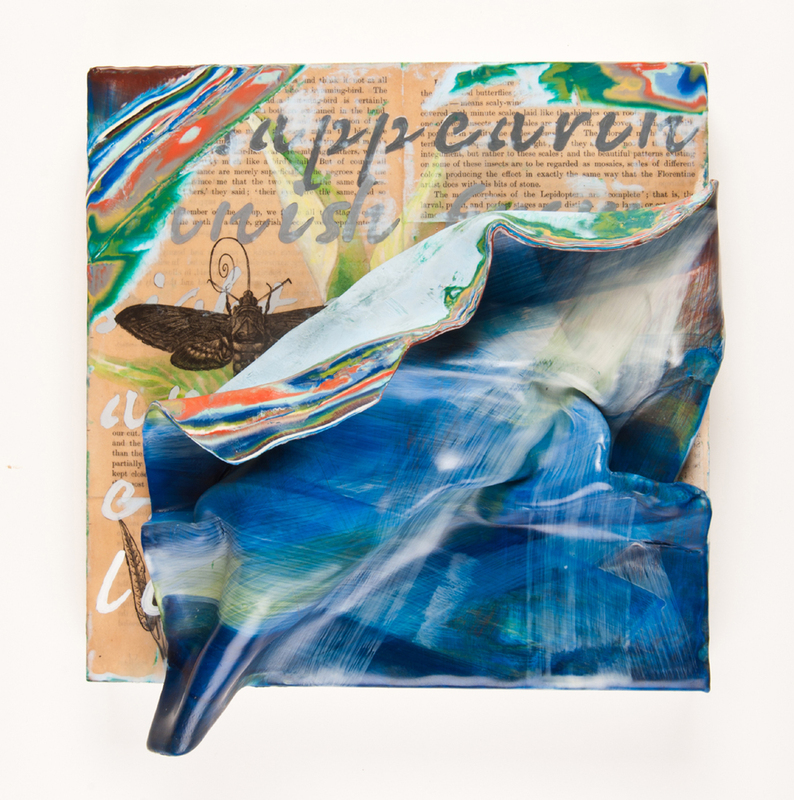 The article “ Thriving on Experimentation by Flavia Cigliano featured Stephanie’s encaustic relief work in the March/April 2018 issue of Artscope Magazine. Her painting “The Breakaway” won the Centerfold feature in the March/April 2016 issue of Artscope magazine. 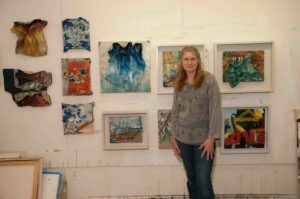 In 2017 & 2013 she was awarded a scholarship to attend the International Encaustic Conference in Provincetown. 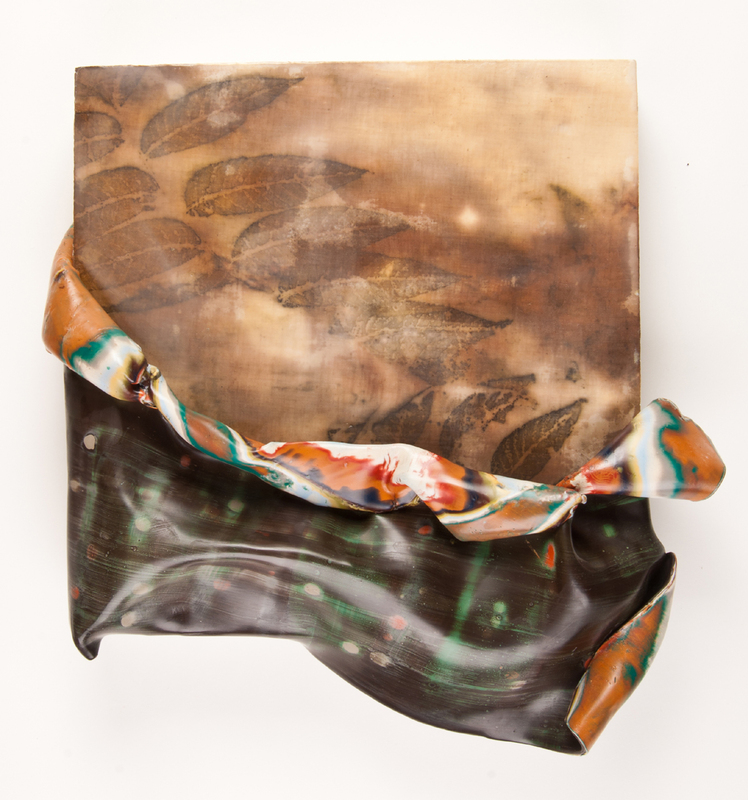 Her work is featured in the 2015/2016 winter issue of The Surface Design Journal called “Memory, Spirit and Gender:Existential Themes in Fiber and Wax” written by Joanne Mattera. 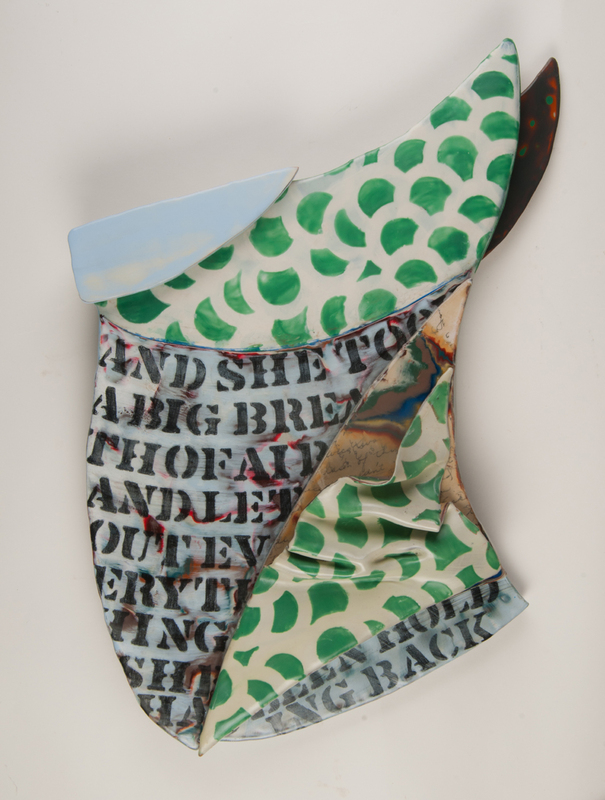 She has shown for many years at the Schoolhouse Gallery in Provincetown, Ma. and is a member of New England Wax. Her and her husband run a honey business called Queen Bee Honey, where she harvests and cleans some of the beeswax that goes into her paintings. 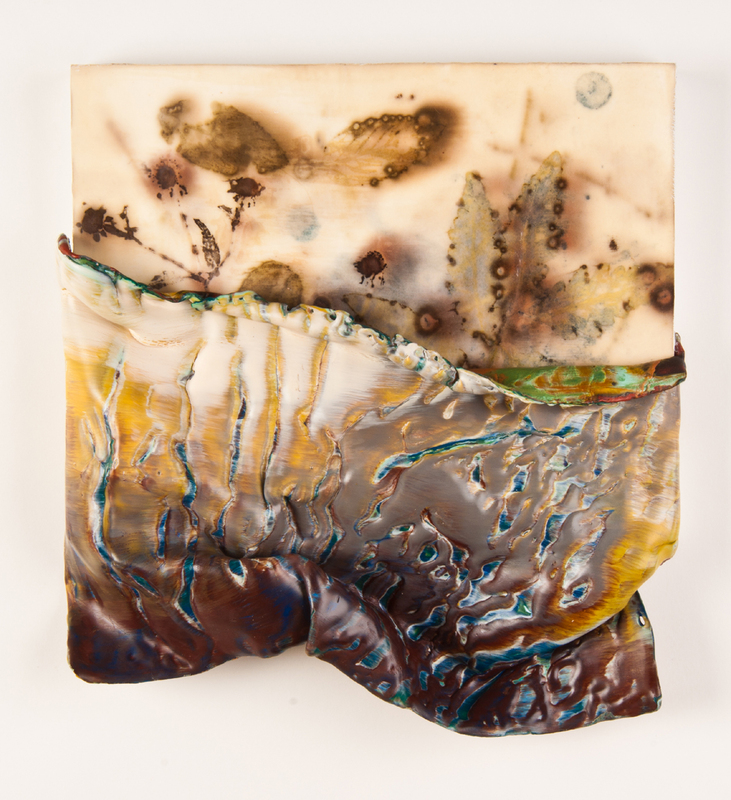 Her work is in the collection of Meditech and Mitz Levin and Enkaustikos, as well as many private collections.